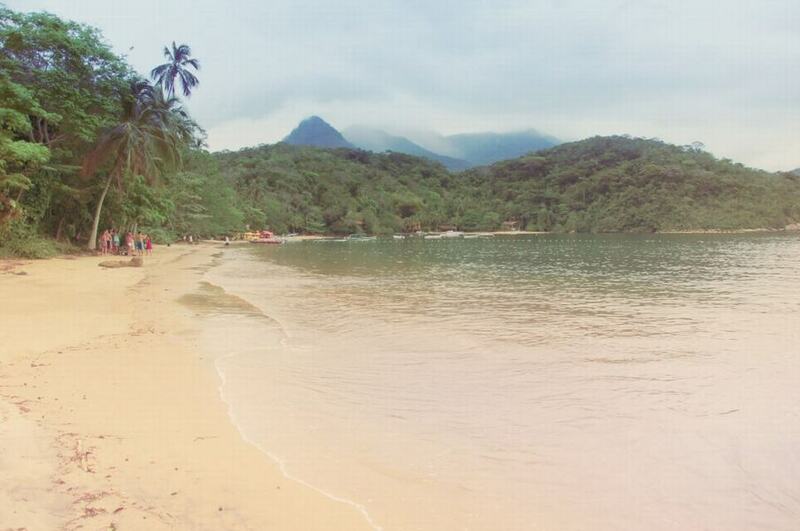 In Ilha Grande more than walking tour will do. On the Way Away planner as the days we will tell you to be what it is worth. When you touch walk, worth taking a little water along the way. They are good walks and beaches although there is always who sells you something to drink, until you get worth going served. Also, if you go to the beach of Lopes Mendes, the most famous on the island, there to eat there is nothing special, so we recommend you to acquire something from Vila do abraao. In the Bakery Paes & co, you can do that I cut a little mortadella (R $ 14 per kilo), the typical meat from here, and buy some bread to make sandwiches on a tris (R $ 3.3 rolls bag ). 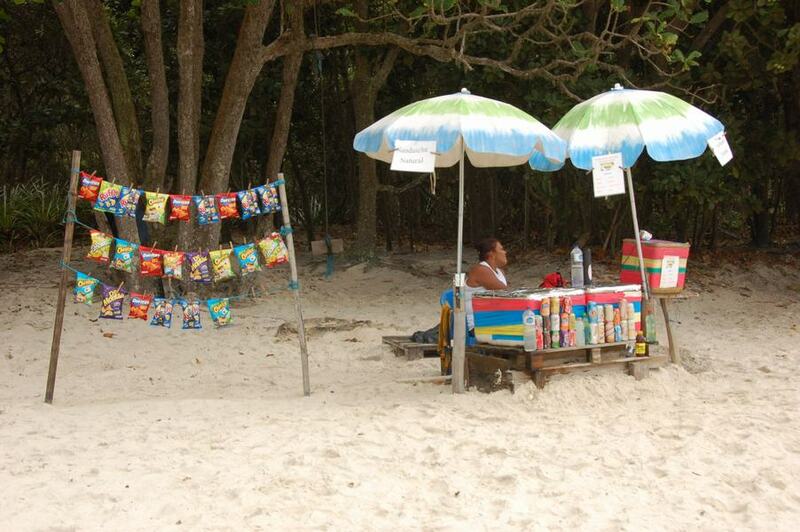 If you don’t bring anything or if you have something more than hunger, the most famous beach of Ilha Grande, the praia Lopes Mendes, have several barracks that we still ask, sell exactly the same: bags of potato chips that are not worth anything and bread sandwiches with chicken, tuna, cheese or turkey, perfectly wrapped and they know better than you’d expect … Well, not much, but at least you can eat! 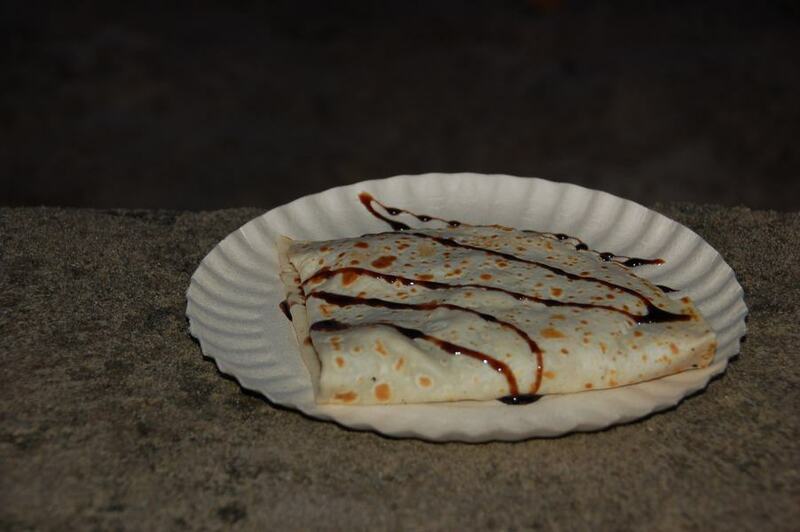 In the same way of Vila do Abraáo port you will find the Creperie Tropicana. The French owner made a Pousada there and took tables to serve crepes. 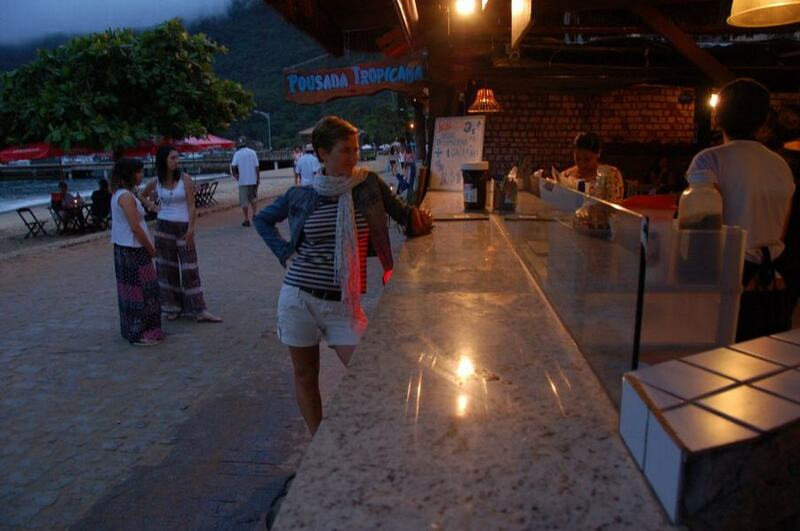 Well it does, because it is a good way to dine in Ilha Grande, when weary fish. 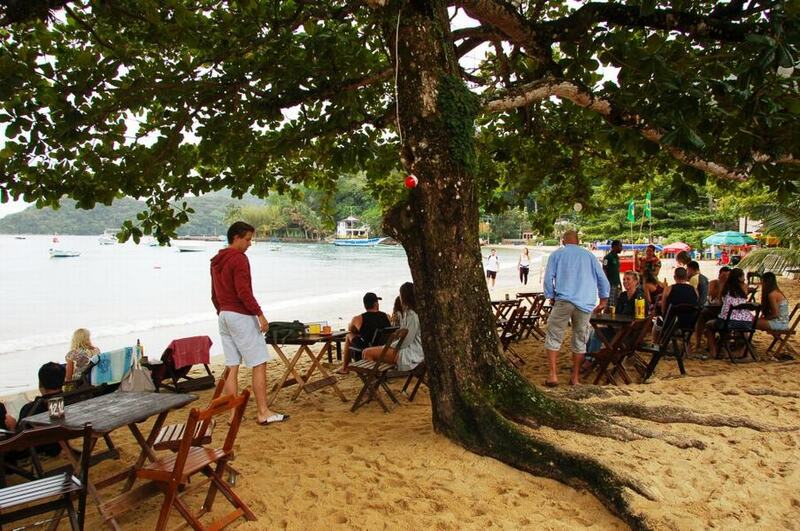 The most homely restaurant in Ilha Grande is the Casarao da Ilha. As in all villages, everytime you see people eating. Or drinking. The speed is not the main value, so if you go hungry best you leave it for another day. So if you stay, do not compliquéis life with no moqueca. 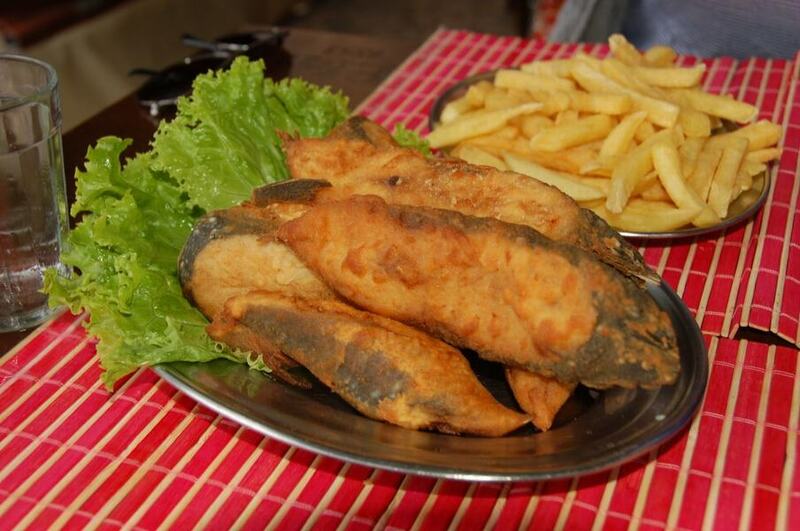 Here Take the fried fish (fry it in large pieces and with the same skin) with chips and chuparos fingers. It is a covered terrace for rainy (usually do in the evening depending on the season), overlooking the central piazza Abraão Village and harbor, but with so many people going forward will cost see the sea. In contrast with the rest Brazilian coastal towns, in Villa de abraao there is a stretch of beach restaurants for dinner in the evening overlooking the sea, with a candle to decorate the table. The pity is that there are a lot of mosquitoes … so those allergic to stings, do you see the picture and then you are going to dinner for the two streets that get into town. Those who, even with help from Relec, aguantéis to mosquitoes can choose the Lua & Mar. It is the farthest of all, not much but at night and in the dark for more than one beach too lazy to get there. Only worth doing on Saturday to make BBQ on the sand. Both eat, whether you pay. 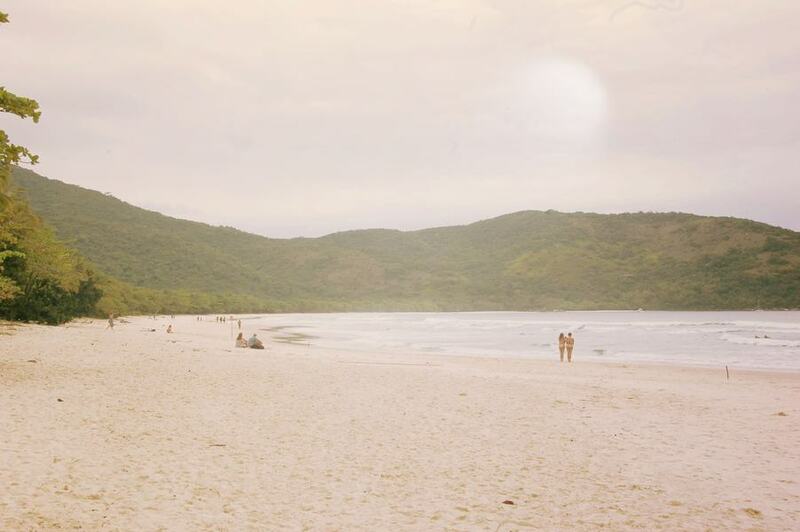 And if you end up going to a restaurant for those inside, at the end you can always return to the beach to assail a coffee or hot chocolate in the basket of “Café da Praia”, for only 3-6 R $, we find in the same walk. One of the best tours in Ilha Grande (and easier and cheaper to do) is to walk quietly to the Praia da Abraaozinho. 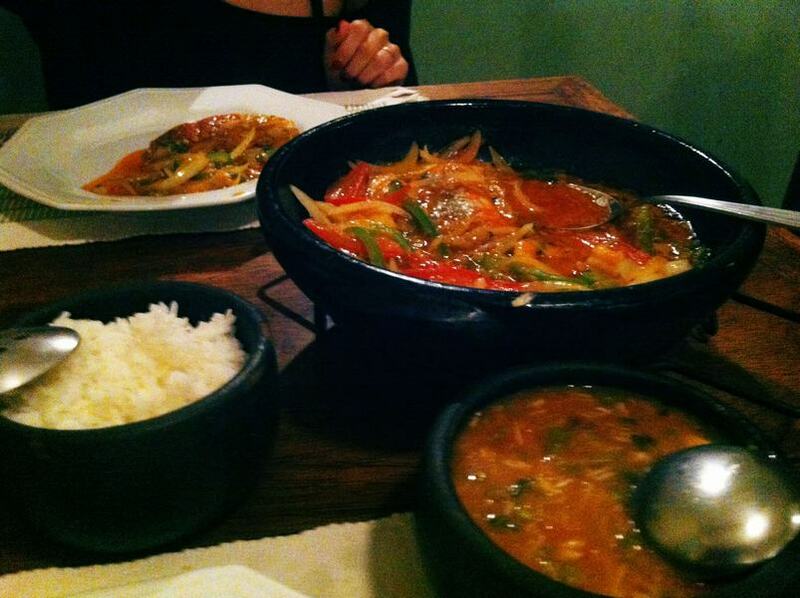 And once there take a plate of calamari or fried fish. To choose table you have it easy: there are only two restaurants. They are equally good but given the choice we are left with the “red”, the Point de Verao before with the “yellow”, the Aperitiv. The waiter is famous for the nonsense jokes he does but don’t worry because after the second beer he will start to look funny! 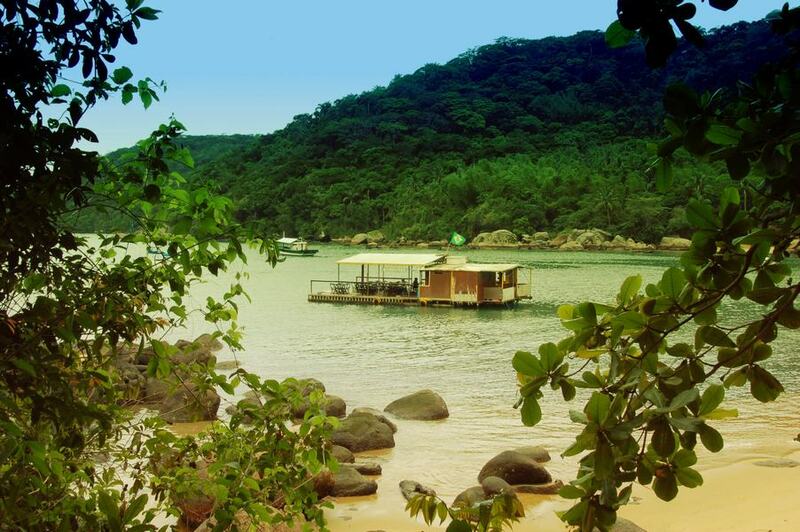 If you have no tendency to dizzy or if you want to get drunk fast with the caipirinha, the BambuBar is the original restaurant around Ilha Grande. Floating Bar just few meters from the beach, with a small boat will take you up if you want a drink. The fish is fresh and not overcharge more than other kiosks for the fun of floating, but it is still a bit expensive, in line with many restaurants in Ilha Grande. The problem is that here you will expose less profit because the small reciprocating eventually you may end up getting tired. But yes, the pictures that you will draw will be more Will Teach you around! 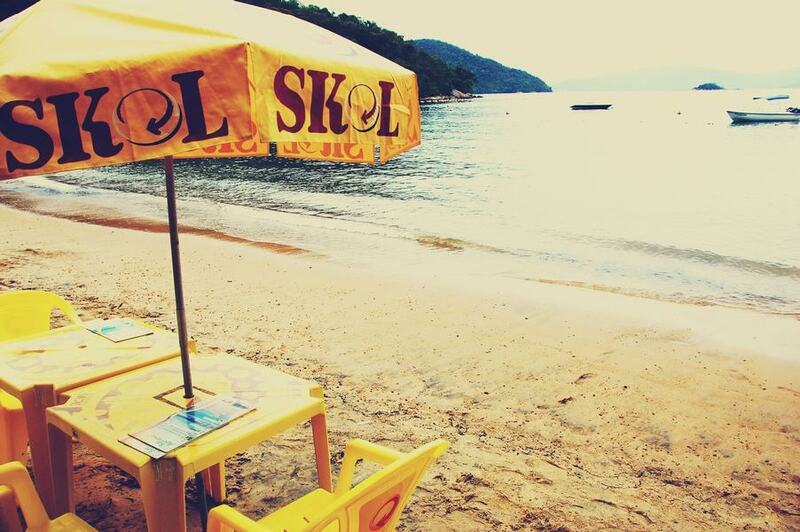 If fish are full of the Ilha Grande only have two options: either the Tropicana or pizzeria creperie Mar Bella. If it’s quality, best first. If it’s id number to the second. They are the best pizzas in Brazil, much less, but at least the beer is cold and the waiters are good people. Although it is a “basic”, do not ask to “alleged” because here comes the worst ham only. Best assail the Frutos do Mar. .. but this is still fish! Well, is that the meat is not very well, so you better assail drinking a margarita and a good Itaipava which is the local beer!